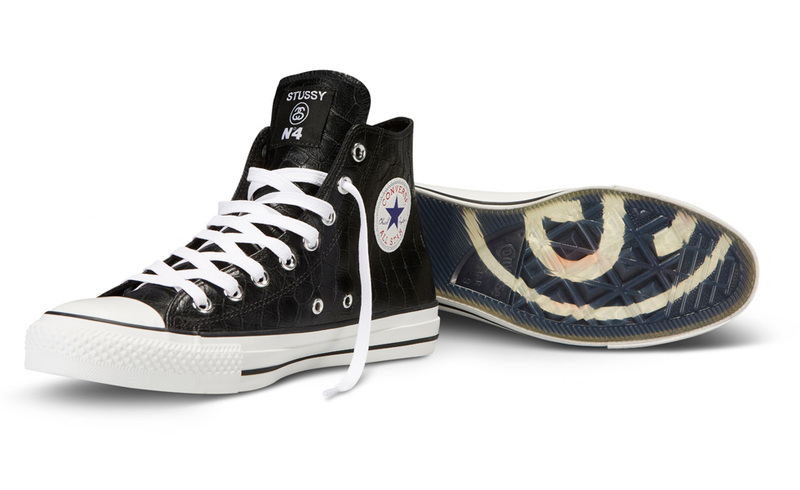 Stussy an Converse have teamed up to give you a unique spin on the classic Chuck Taylor All Star Hi. 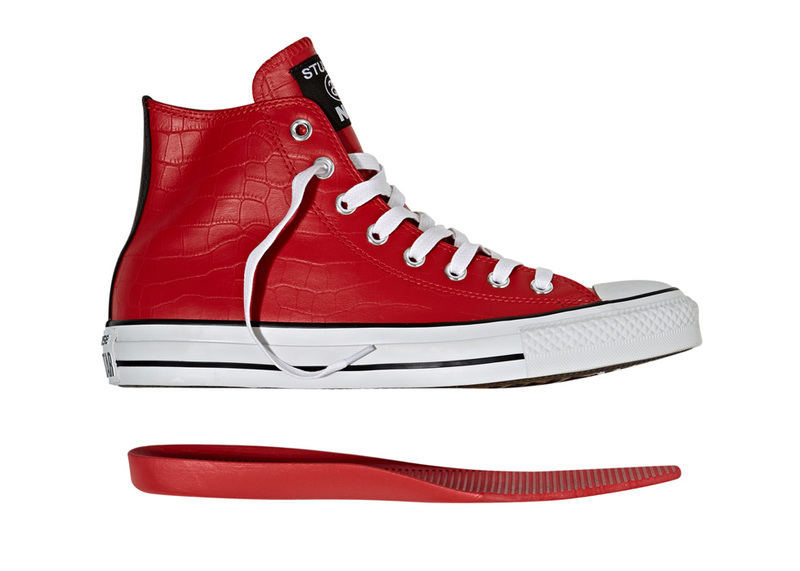 Made of a high quality tumbled leather donning an embossed crocodile print these future classic will be worth every penny. 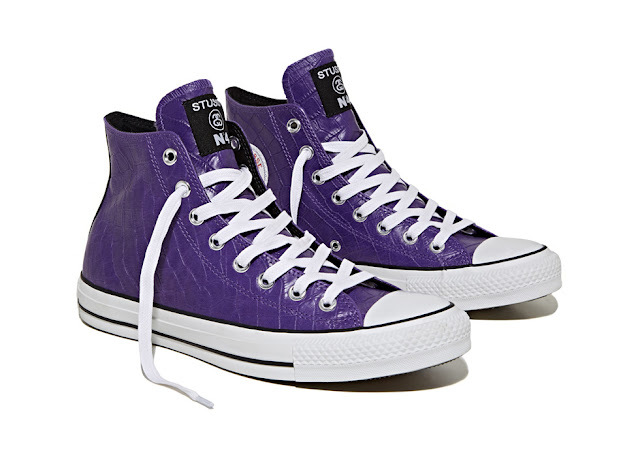 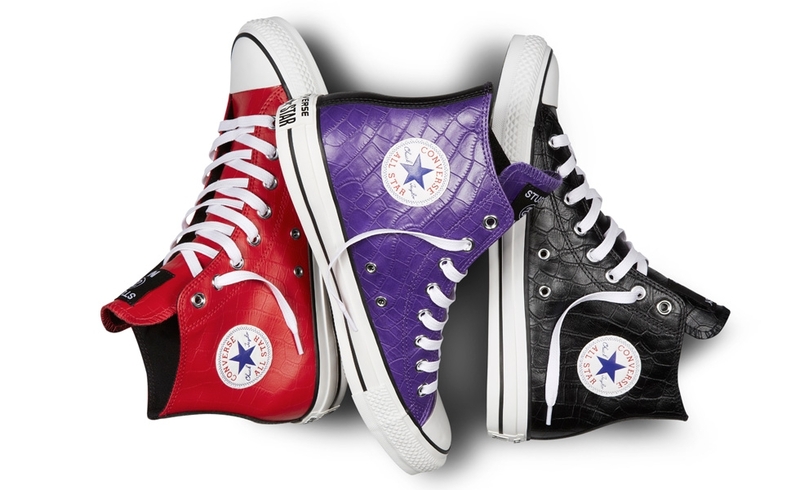 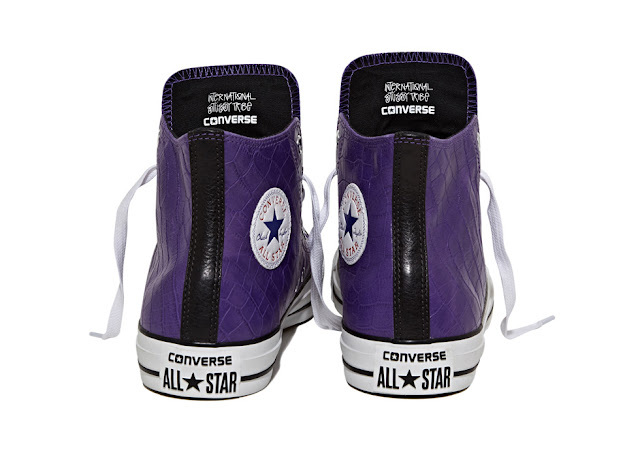 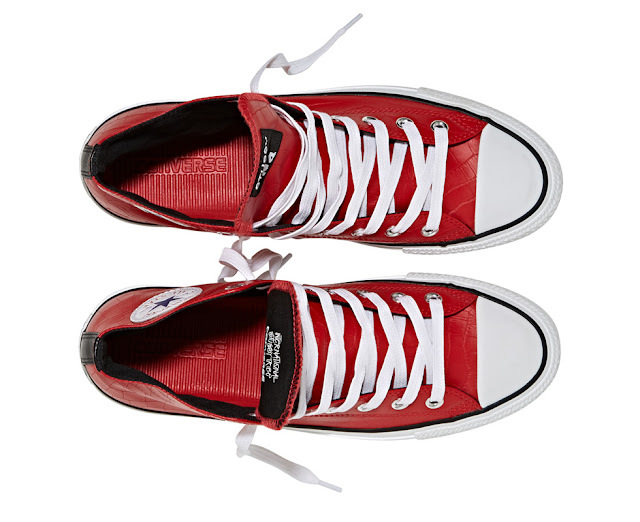 Available in Red, Purple and Black the All Star Hi also has a No. 4 woven into the tongue label, a clear icy sole and an enhanced cushy insole to give them that extra comfort. 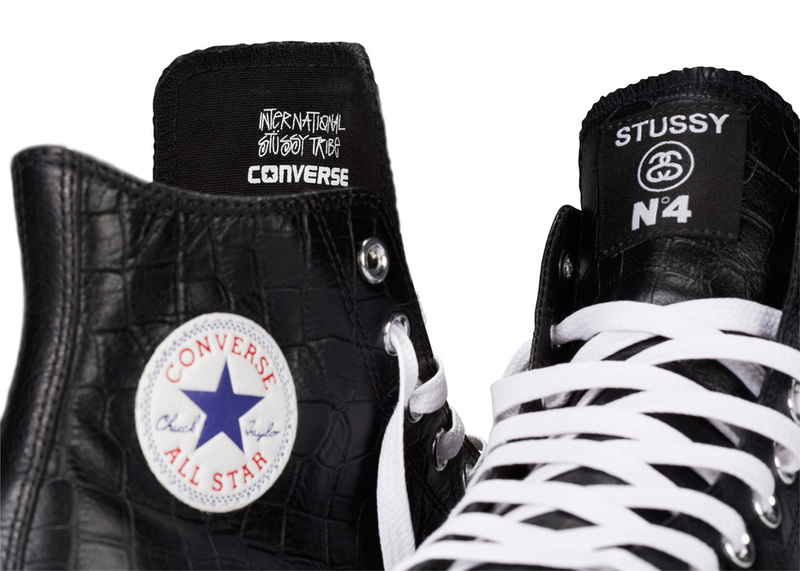 This limited release is available now directly through Stussy online here as well as their local stores around the world.